The IITs i.e. Indian Institutes of Technology are top class institutions for education and research in engineering, biotechnology, computer sciences, mathematics, architecture and legal systems etc. Established under IIT act of Parliament of India, these institutes are located across length and breadth of the Indian republic. Oldest among all IITs is IIT Kharagpur, the trendsetter in IIT System. 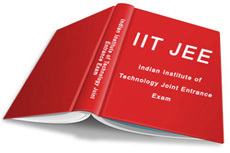 At present India has 15 IITs. Given below the list of Indian Institutes of Technology with contact details. These institutes bears Deemed University status approved by Union Ministry of HRD of Government of India and regarded best as 'top technology institutes' in India.